The player bets and spins the reels. The reels stop and symbols populate the paylines. If the symbols on the paylines match one from the paytable, the player wins. 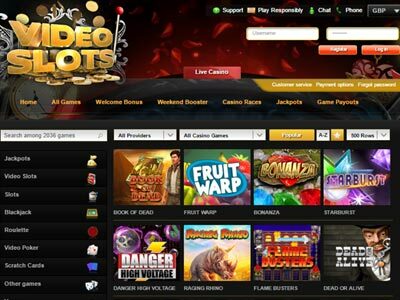 Although there are lots more features that you can discover as you become more experienced, the following list will give you the basic concepts of Online Slots and get you playing as quickly as possible. Although slots share the same basic principle of Spin and Win, each game has its own individual characteristics - whether that's the theme, the audio, the visuals or the bonus rounds. 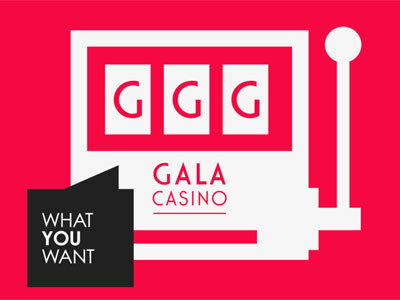 Before playing any new Slot, players should become familiar with the basic mechanics - how many paylines are there, what are the winning combinations, how do the Scatter and Wild symbols affect the play, what special features can be unlocked. Fortunately, casinos are happy to give players the time to get familiar with games before committing any of their hard-earned cash. They do this by offering demo or free play modes, where players are given a certain amount of credits (normally around 1000) and unlimited spins to get a feel of how the game works. Taking advantage of free play means players can gain a full understanding of how the game works, before making a deposit. 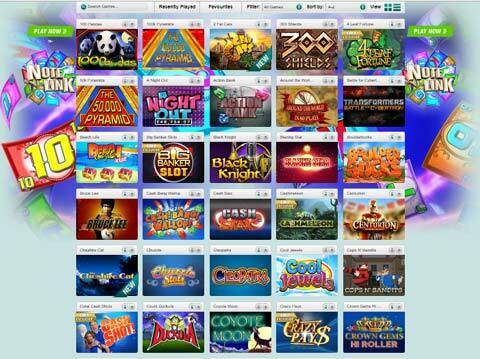 To help you along, we've included a great selection of free slots games, to give you a real flavour of what's on offer. Check them out here: Play slots for free on desktop, mobile or tablet. On a 5 reel slot, the screen displays a matrix of 3 x 5 symbols. Paylines are the designated patterns on that matrix. In the simplest form, the centre row of 5 symbols would be the only payline. In reality, casinos give you plenty of opportunities to win and offer many more paylines than just the centre row - in some cases up to 50. The arrangement of paylines can be complicated (see image, above) and players would find it difficult to remember all of them. So to help you out, each game has a paytable that highlights all the available paylines. The number of chosen paylines can be selected and adjusted by the player. The more paylines selected, the higher the cost of playing the game (see bet size, below) but the greater the chance of winning. Every game has its own unique paytable, a table that highlights winning combinations and the respective payouts. In some of the basic 3 reel slots, the paytable is fairly simple. In more Advanced games e.g. 3D slots, which have a number of special features, the paytable can be quite complex and go over a number of pages. In all cases, the Paytable is accessible from within the game and can be called up by the player at any time if they need to check anything. As well as showing the Payline combinations, the Paytable will discuss the specific Wild and Scatter symbols for the game, and outline any special bonus features / sections that may be available - and how they can be unlocked! Each game has a different paytable and we recommend that players use the Free play mode (see top of page) to become fully familiar with the game before betting with real money. 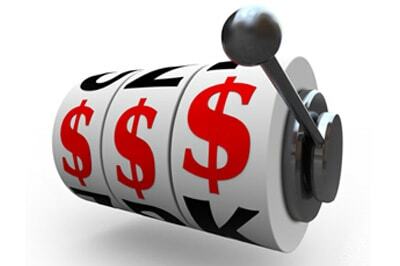 The major decision you have to make when playing slots is how much you want to bet on each spin. There are three elements involved in this - the coin size, the number of coins, and the number of paylines. Each of these can be adjusted by the player. It's important to choose a game that fits into your betting strategy. For example, there's no point playing a 50 payline game if your budget will only stretch to 10 of them! Choosing the maximum number of paylines opens up more winning opportunities, but if you have to reduce your coin size to stay withing budget, you could be missing out. Combined with this, the number of coins you select multiplies the bet, which in turn multiplies the potential win. If that all sounds a little complex, you can always just select the Bet Max button which sets Coin size, Number of coins and Paylines to the maximum. Although this may seem high risk, it can be an advisable strategy, especially when playing Progressive Jackpots, where the Jackpot is only available to players betting at the maximum. Gambling in any form is meant to be an enjoyable leisure pursuit. Although the big wins are fantastic and possibly life-changing, you're looking to enjoy the experience. 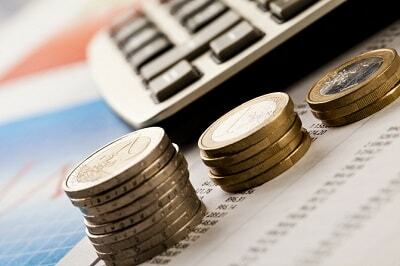 To do that, you have to manage your bankroll to ensure you can keep playing for longer than 10 minutes! As with any session in a casino, Fortune Palace recommends that Slots players choose a bank size before embarking on any game and decide how long they'd like to play for as a minimum i.e. if things don't go your way. This then allows you to calculate how much you can bet on each spin (eg bankroll / bet = X spins = Y minutes). As discussed above, it's important to choose your game wisely, so that each spin offers the maximum chance to win, but stays within your betting strategy. We have a full section on Gambling Strategy that covers an overall strategy, the house edge and winning and losing streaks. It also explains the Gamblers Fallacy - the concept that past results can influence future ones. We'd recommend you read through this section before starting to play Slots - or any other casino game.